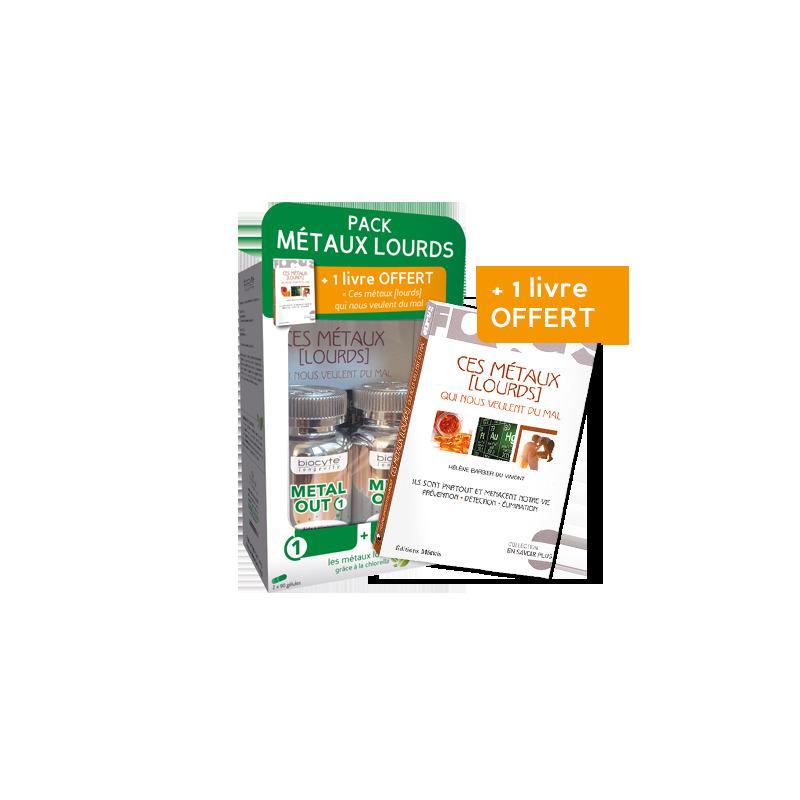 Biocyte Anti-Heavy Metal® Pack is a complete program based on the combination of 2 food supplements: Metal out 1® and Metal out 2®, which help eliminate heavy metals, thanks to chlorella. 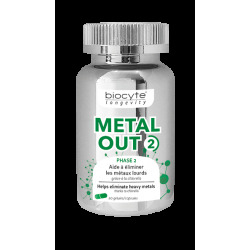 Metal out 1® is formulated with MSM, N-acetyl-L-cysteine, Chlorella, alpha lipoic acid and riboflavin. Metal out 2® is formulated with chlorella. The combination of Metal out 1 and Metal out 2 helps eliminate heavy metals, thanks to chlorella. "CES MÉTAUX [LOURDS] QUI NOUS VEULENT DU MAL"
This book doesn’t seem to have been translated into English… donc à laisser en français ? "Metals defined as "heavy" are metalloids or toxic metal derivatives - such as mercury, cadmium, lead and others, which are widely spread throughout the world due to their high density, and the medical, industrial and agricultural activities. Today, we speak about "metal trace elements", as others are included in this category, such as aluminum. They have "heavy" consequences on our health and even on our lives. The body is unable to eliminate these toxic molecules, which then accumulate and trigger a variety of conditions from allergies, neurology and cardiology disorders to cancers and degenerative diseases, Alzheimer, Parkinson, etc. The solution lies in chelation, which helps bind heavy metals to a natural molecule in order to eliminate them, and through micronutrition, which protects the body. For each toxic element, this work lists its sources, toxicity, analyses and appropriate assessment, as well as the means for limiting the harmful effects and how to best rid the body of these heavy metals. An indispensable tool to help fight against the multitude of environmental pollutants." Dietary supplement based on MSM, N-acetyl-L-cysteine, Chlorella, alpha-lipoic acid and riboflavin for Metal out 1® and Chlorella for Metal out 2®.